A couple of typhoon fundraisers to mention. Chef Paul Klitsie Hosts Typhoon Fundraiser Dinners at Fratelli and Willem’s on Main. While Fratelli has officially closed, as of November 5th, Paul is hosting one final event at the restaurant to both assist with emergency response efforts for typhoon survivors and to personally say “thank you” and “goodbye” to his loyal Portland staff, customers, neighbors and friends. More information here. Beast is hosting a special dinner with six powerhouse chefs: Naomi Pommeroy, Jason French, Greg & Gabi Denton, Vitaly Paley and Paul Bachand. More information here. 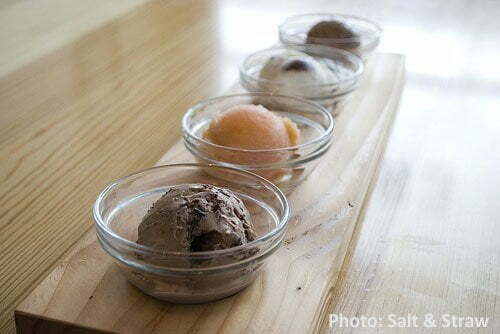 Quartet, the oft maligned and legally embroiled waterfront restaurant has yet another problem. You may remember that they hosted Stevie Wonder at a benefit last May. According to a new lawsuit filed Wednesday, “A charity event featuring a performance by Stevie Wonder ended up being a net loss for the plaintiff non-profit because its partner in producing the event refused to share its portion of the $500 entry fees it collected”. So let me see if I have this right. A restaurant, which is already getting a ton of bad press for everything from the food to investor lawsuits to how they pay their employees decides to host a charity event, but then leaves that charity with a loss because it won’t pay their share? If this is true, I’ll gladly pour gasoline on the pyre. The Daily Meal has named four Portland bakeries to their “America’s 50 Best Bakeries” list. 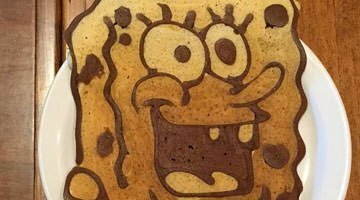 Little T American Baker comes in at #32, Grand Central at 28, Ken’s Artisan at #13, and Pearl Bakery at #10 in the rankings. The judges took into account atmosphere, originality, how long they’ve been around, if they have notable/award-winning chefs, whether they scratch bake, and their buzz factor. Judging from the order of this list, I’m thinking they may not have actually gone out and tasted the baked goods. 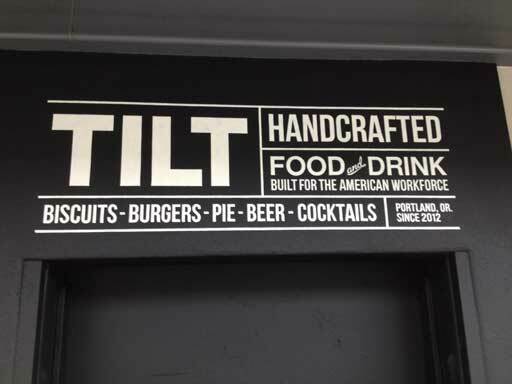 Tilt “Handcrafted Food for the American Workforce” is now in full construction mode on their Pearl District restaurant. The Swan Island restaurant is known for their unabashed approach to classic foods; selections from the menu include large hamburgers and sandwiches, the giant cobb salad, and a big selection of biscuit sandwiches. The new location will have a full bar and a large selection of beers. Did I mention pie? Try the fries. No idea of the exact opening date, but construction is moving right along. Broder Nord has opened in the old Gotham Tavern space at 2240 N. Interstate Avenue. I tell you this with some trepidation, as on a recent visit, the wait was one hour, and the service was close to awful. That being said, this was a week after they opened. The interior hasn’t changed much since the original Gotham Tavern; all of the “beehive pods” are still in the back, and driftwood is still fastened to mirrored walls – though the newly installed tile is um… hmm… not something I would have done, nor their choice of chairs. 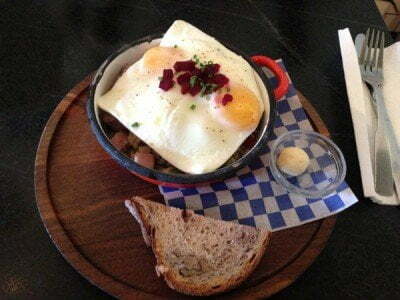 The breakfast menu is very similar to the ever popular Broder in SE Portland. All of this being said, the Broder folks have a good track record, and I’m sure they will get things straightened out. Note: as of this writing, they have discontinued their dinner menu at the first Broder “in preparation for the new dinner program coming to Broder Nord”. Wow. I could see myself sitting down with a pint of the pumpkin custard. How did the taste test come out? They only spit one of the flavors out. You can read all about their tasting here. I’m not going to say it, but we are both thinking the same thing. Remember the Local Choice Market on 12th and Everett that closed over the Summer? A little bird flew past and whispered that it will become the second branch of [Barbur] World Foods, a wildly popular ethnic market on SW Barbur. This could be an interesting wrinkle. The Local Choice space seems ideal for World Foods which has a large following for its Middle-Eastern deli foods, wine and produce. According to the liquor license application, the store will be open daily from 7am – 9pm, and will continue their outdoor seating.. The acquisition also continues an expansion spree for New Seasons that began in January when Wendy Collie succeeded Lisa Sedlar as president and CEO. The company entered development agreements to open stores in three new retail developments — two in Portland and one in Tualatin — in 2014 and 2015. New Seasons and New Leaf will operate independently to start but will look for opportunities to build on their similarities moving forward, Collie said. “I have been calling it ‘smart scale,’” Collie said. 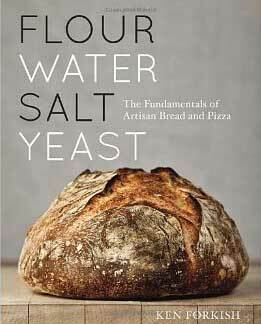 Author/Restaurateur Ken Forkish of the popular bread cookbook “Flour Water Salt Yeast”, Ken’s Artisan Bakery and Ken’s Artisan Pizza will premiere his 5000 square foot new venture “Trifecta Tavern” on Friday. According to a Twitter post, “Trifecta Tavern opening Friday. Bar at 4pm, dining room at 5pm. Trifecta’s bakery opens Saturday at 8am for pastry, coffee. Bread at 4pm! Trifecta will seat restaurant on a walk-in basis for a few nights while we get systems in place. Think um… “Tavern/Bakery”. It sounds odd, but Ken will pull it off; everything he does ends up a hit. The restaurant features lots of breads, salads, burgers, and other tavern type food. It is located on Portland’s SE side at 726 SE 6th. Category: Portland Food and Restaurant News and Discussion. Related posts about Beast Restaurant, Broder Nord Restaurant, Fratelli, Grand Central Bakery, Ken's Artisan Bakery, Little T American Bakery, Pearl Bakery, Quartet Restaurant, Salt & Straw Ice Cream, Tilt Restaurant, Trifecta Tavern, Willem's on Main Restaurant. More about Ken Forkish.